This topic is so important that I felt it was worth discussing again. So, if you didn’t gather your family health history during Thanksgiving then don’t worry but do it before 2011. You have 4 weeks to complete this assignment! 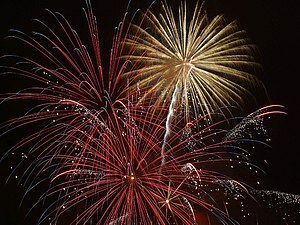 We are now in the holiday season, and I can’t believe that 4 weeks from today is New Year’s Day 2011! With that in mind, I have an important task for all of you. Since we gather together with our families during the holiday season, it’s an excellent time to get your family health history. Do you have a family history of Alzheimer’s Disease, dementia, heart disease, stroke, Parkinson’s Disease, high blood pressure, diabetes, cancer, thyroid disease, or any other chronic disease? Did you know that with any of these diseases you have an increased risk for developing memory problems and other cognitive deficits? By doing a little research into your genes, you have the ability to map out a more healthy lifestyle. It’s never too late to make positive lifestyle choices whether you’re a senior, a baby boomer, in your 40’s or 30’s, or in college. Find out the age of your oldest living blood relative. By the way, mine was 114, 115, or 116. I find that truly amazing! Try to brainstorm as a family what this relative did to achieve such healthy aging and longevity. Don’t be surprised to discover that these people probably have some things in common. They were active and kept moving, stayed engaged and connected with people, and consumed a healthy diet. No junk food or fast food on a regular basis. Strive for that kind of senior aging, health, and fitness! Why not take advantage of every possibility to lessen your chances of developing memory loss or suffering a cognitive decline? Remember, memory loss does not have to be a part of the normal aging process! Be in command of your health and your life! So, take charge of your health! Engage your brain with challenging brain fitness activities. Let’s build your cognitive reserve through some mentally stimulating activities. Learn a new game, learn a new language, participate in a social group, and EXERCISE! Try our Brain Boosters! One of the secrets to longevity is to achieve a healthy balance between a healthy mind, body, and spirit! Let us know the age of your oldest relative, too! Happy Hanukkah, Merry Christmas, Happy Kwanzaa, and Happy New Year! Make 2011 the year YOU commit to your health! Posted on December 4, 2010, in Ageing, Aging, Alzheimer's, Alzheimer's Disease, Anti Alzheimer's, Anti Alzheimer's Disease, anti-aging, baby boomer, Baby Boomer Activities, baby boomers, Baby Boomers Activities, Brain, brain fitness, Brain Food, Brain Foods, brain health, Brain Plasticity, Build Brain Power, cognition, cognitive reserve, Dementia, executive function, exercise, grey matter, health, health and wellness, Health benefits of spices, Healthy Aging, Healthy Eating, healthy heart, Healthy Living, Healthy spices, heart, Improve brain function, Improve Memory, Improve Thinking Skills, judgement, judgment, Longevity, memory, Memory Loss, Mental fitness, Mental Stimulation, neuroplasticity, Prevent Memory Loss, problem solving, processing speed, reasoning, Senior Activities, Senior Fitness, senior health, Spices, Spices for brain health, thought flexibility, thought organization and tagged Ageing, Alzheimer's disease, Anti Alzheimer's, Anti Alzheimer's Disease, anti-aging, Baby boomer, baby boomers, Blood pressure, brain, brain fitness, brain health, brain plasticity, Cognition, cognitive reserve, Conditions and Diseases, dark chocolate, Dementia, executive function, Family history (medicine), Fitness, Grey matter, health, health and wellness, healthy aging, Healthy diet, healthy heart, Heart disease, heart health, Hypertension, judgment, longevity, memory, Memory Loss, mental fitness, mental stimulation, Neurological Disorders, neuroplasticity, Olive oil, Omega-3 fatty acid, Parkinson's disease, Physical exercise, Prevent Memory Loss, problem solving, Senior Fitness, senior health, Stress, Stress management, Walnut, Walnut oil, walnuts. Bookmark the permalink. 2 Comments. You are welcome to use things you’ve seen here that you like. What did you like that you want to use?